The technology industry is becoming increasingly complex and, as such, the role of a telecom specialist becomes both more niche and innovative. Specialists’ knowledge is constantly being stretched, as they are required to understand everything from the finest software details to big industry issues. That’s why we believe that telephony engineers should be true specialists – experts in one thing and executing it really well. 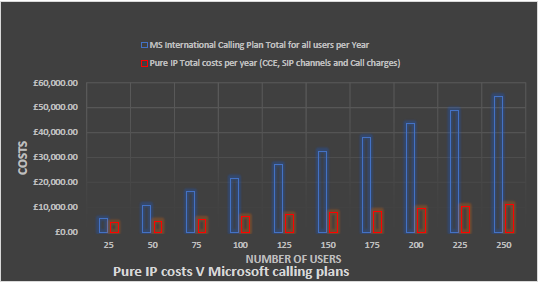 Pure IP has been working with Modality for almost four years, supplying SIP trunk services to the Unified Communications (UC) and Skype for Business specialist. While Modality remains impartial when it comes to choosing SIP Trunk Providers, the company chose Pure IP to meet its internal requirements, after experiencing significant year on year growth in revenue and staffing increases. As we begin 2016, we've taken a look back at the Blue Jeans Network 2015 State of the Modern Meeting Report, which identified the biggest trends affecting today’s meetings based upon the analysis of over five million of Blue Jeans Network’s business collaboration meetings in 177 countries. This year’s report reveals how an increasingly mobile workforce is changing today’s modern meeting. The rise of remote working and global expansion means companies are turning to conferencing to unify their global teams under one communications network, enabling them to open new offices quickly and easily, and to maintain business communications no matter where staff are located. What does ‘bring your own carrier’ mean for Skype for Business, Cloud PBX & Office 365 E5 users? With the recent announcement of new meeting and voice functionality for Skype for Business (S4B) being released with Microsoft Office 365, the migration of communications and collaborations to the cloud is making progress. In this blog we will take a top level look at how the ‘bring your own carrier’ solution works from a voice perspective. Microsoft’s premium Office 365 Enterprise Suite, Office 365 E5 offers a number of new features including S4B as standard and the optional add-ons of Skype Meeting Broadcast, Cloud PBX and PSTN conferencing. Generating a lot of interest in particular is the cloud PBX option. It eliminates the need for separate PBX systems for users, instead moving the functions of the PBX into the cloud. Businesses are then able to assign and manage phone numbers using Skype controls within the Office 365 console, as well as being able to dial-in telephone numbers for your Skype meetings.